Russia is making good on its threat to crack down on VPN and proxy services that provide access to blocked sites. A new law submitted to the State Duma will see the country's telecoms watchdog identify such services and compel their hosts to hand over operators' personal details. Should block bypassing continue, access to the service will be terminated by the country's ISPs. Website blocking in Russia is becoming a pretty big deal. Hundreds of domains are now blocked at the ISP level for a range of issues from copyright infringement through to prevention of access to extremist material. In common with all countries that deploy blocking measures, there is a high demand in Russia for services and software that can circumvent blockades. As a result, VPNs, proxies, mirror sites and dedicated services such as Tor are growing in popularity. Russian authorities view these services as a form of defiance, so for some time moves have been underway to limit their effectiveness. 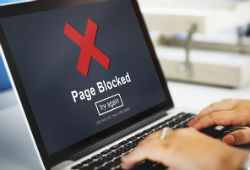 Earlier this year draft legislation was developed to crack down on systems and software that allow Internet users to bypass website blockades approved by telecoms watchdog Roskomnadzor. This raises the prospect of VPN providers and proxies being forced to filter out traffic to banned domains to stay online. How this will affect users of Tor will remain to be seen, since there is no way to block domains. Furthermore, sites offering the software could also be blocked, if they continue to offer the tool. Also tackled in the bill are search engines such as Google and Yandex that provide links in their indexes to banned resources. The proposed legislation will force them to remove all links to sites on Rozcomnadzor’s list, with the aim of making them harder to find. However, Yandex believes that if sites are already blocked by ISPs, the appearance of their links in search results is moot. “We believe that the laying of responsibilities on search engines is superfluous,” a spokesperson said.